Chapter 7 bankruptcy filing is most common where you do not have sufficient income to pay your debts. If you qualify for Chapter 7, common debts (i.e., credit cards, medical bills, unpaid rent, automotive debt etc.) 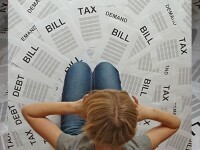 are able to be discharged and you will not be required to repay any of those debts. Many times in a chapter 7, you will not be required to sell your home, your car or any of your assets. The process of Chapter 7 bankruptcy is fairly quick where, with our expertise in working with districts in Orange County, Los Angeles or Inland Empire, you can receive your discharge in as little as 4 to 6 months. Additionally, upon the initial filing of your bankruptcy, you will be granted immediate relief from foreclosure, harassing creditor calls, lawsuits, evictions, garnishments, levies, and other collection efforts. For more information about Chapter 7 Bankruptcy, please contact one of the very qualified attorneys at the Bankruptcy Law Group. Chapter 13 is the Chapter where you can save your home and car if you find yourself behind on your payments. This Chapter may be your best option if you have regular and steady income and Chapter 7 is not right for you. In most cases you only have to pay back a portion of certain debts over a period of time, with the balance being discharged. In this Chapter you may also be able to have your 2nd Mortgage / Home Equity Line of Credit removed from your home and discharged upon successful completion of your bankruptcy. For more information about Chapter 13 Bankruptcy, please contact one of the very qualified attorneys at Bankruptcy Law Professionals.